← What is Personal Care? Many people in their 60’s are healthy and enjoying their independence. However, aging can eventually present mental and physical changes which can interfere with the active lifestyle of seniors. Once they experience a change in the way they function, this doesn’t mean seniors have to move to a senior facility. Rather, this indicates the need for extra help so they can continue to age in the comfort of their home. 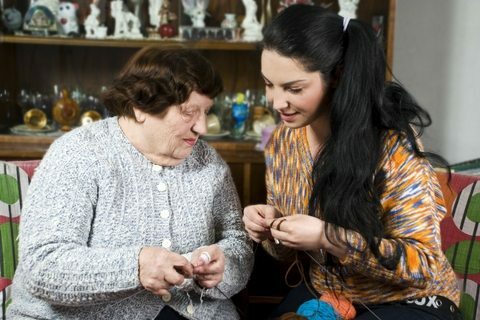 Usually, this means that family members have to spend time caring for and assisting their senior loved ones to complete daily activities. But, since family members may not be available to attend to the needs of their seniors, hiring a professional caregiver is the most viable option. Hiring a caregiver can benefit both seniors and their families so it’s important to know when to do it. Because of changes in physical or mental conditions, seniors may no longer be able to keep their bills paid on time. A lot of them may lose interest in maintaining their hygiene and physical look. This indicates the seniors’ need for Personal Care Services in Wisconsin that we can provide with respect to their dignity.Household chores can become difficult for seniors to perform or complete. However, when they ignore the importance of maintenance to the point of serious unsanitary conditions and disorganization, this clearly means that they need outside help. Other important signs to watch out for include forgetfulness to take medications, insufficiency of food in the house, sudden weight loss, and unexplained bruising. Family members who are currently caring for or assisting their loved one with grocery shopping, medication management, and housekeeping should recognize the impact of this responsibility on their health and relationship. It is necessary to acknowledge when to welcome external support and let somebody take the responsibility for them even temporarily. In case the level of care their seniors need is more than what they can manage, hiring a professional caregiver is certainly the perfect solution. As a provider of Home Care Services in Milwaukee, Wisconsin, we have caregivers who can take care of things for family members who want to take a break from caregiving. If the signs mentioned above have become apparent, it is time to talk about contacting a provider of Non-Medical Home Care in Brown Deer, Wisconsin. As you initiate the talk, remember that seniors want to maintain their independence so give emphasis on the benefits of home care for them and for you. Concentrate on how their lives and yours can be more manageable if you have an extra pair of hands available regularly. If you and your senior loved ones have decided that the latter needs homecare services, Supportive Personal Care Services can be reached at 414-365-9108. This entry was posted in Caregiving Services, Personal Care and tagged Caregiver, home care, Personal Care Services. Bookmark the permalink.